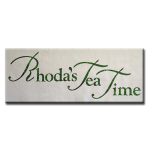 Rhoda's Tea Time Words is an add-on to the Rhoda's Tea Time Applique pattern. 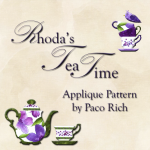 This pattern is designed to be used in place 10 teacup blocks (12" x 30") in the Rhoda's Tea Time Quilt. 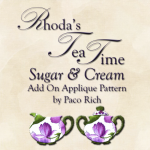 Rhoda’s Tea Time inspired by Rhoda Forbes & Designed by Paco Rich. 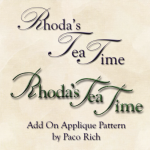 Rhoda’s Tea Time Patterns are the property of Paco Rich. Please do not copy or share this pattern. This pattern has been altered from the online Teacup Block Swap in Life's A Quilt. This pattern is for individual use only. 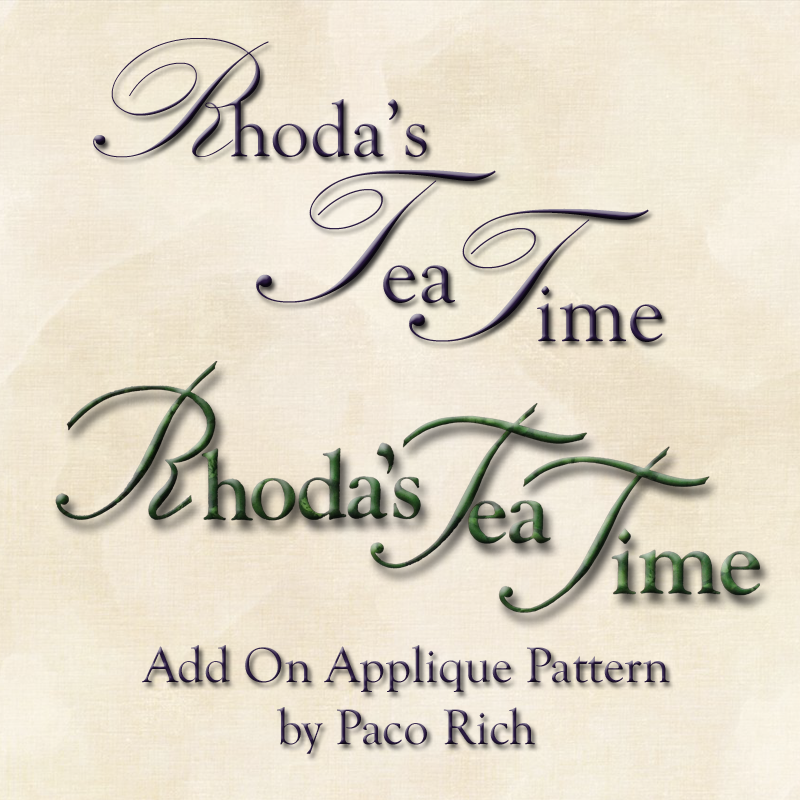 If you would like a printed pattern, click to purchase.